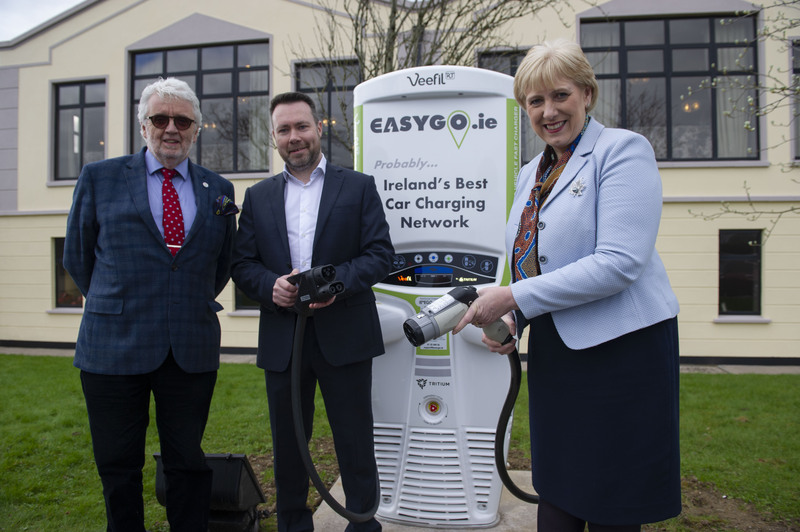 EasyGo.ie, Ireland’s first privately-owned electric vehicle charging network has unveiled what it claims is Ireland’s most advanced, publicly-available DC charger. EasyGo.ie has deployed a Veefil-RT 50kW DC rapid charger from DC charging technology specialist, Tritium, at the Four Seasons Hotel in Monaghan. The successful installation marks the first deployment of a rapid charger in Ireland on a new site in some time, and the first deployment of a 50kW DC public charger on a private network in Ireland. EasyGo.ie says the charger can add 50 kilometres of range to an electric vehicle in just 10 minutes. Founded in 2018, EasyGo.ie also plans to install 88 of Tritium’s DC rapid chargers by the end of 2020, with at least 20 to be deployed by the end of this year, leading to the creation of up to 50 new jobs in operations and customer support. A recent SIMI report showed that EV sales are up 542 per cent compared to the end of February 2018, so it is vital that Ireland’s infrastructure keeps up with this rapid growth and demand.